I just love the way this book is presented, it is just beautiful. Daisy’s Maze has a scrapbook quality which adds to its wonder and creativeness. Michaela Sangl uses touches of collage material in her illustrations which compliments Kyle Mewburns story perfectly. The story is written within the pictures in some places and this makes it even more fun to read for the young readers. The animal characters are adorable and have a childlike quality. Daisy is a very creative mouse, and she is blessed to have very good friends. Daisy’s Maze is a story of the lengths good friends go to, to make each other happy. It is also a good story about having open communication to avoid misunderstandings. You see Daisy goes to incredible lengths to create a fun maze for her friends to enjoy before the get to her tall tower for tea each Tuesday. Her friends love coming to tea at Daisy’s, but they are usually so exhausted from the maze and the tower they fall asleep. Daisy mistakes this for boredom and so creates an even bigger maze and tower. 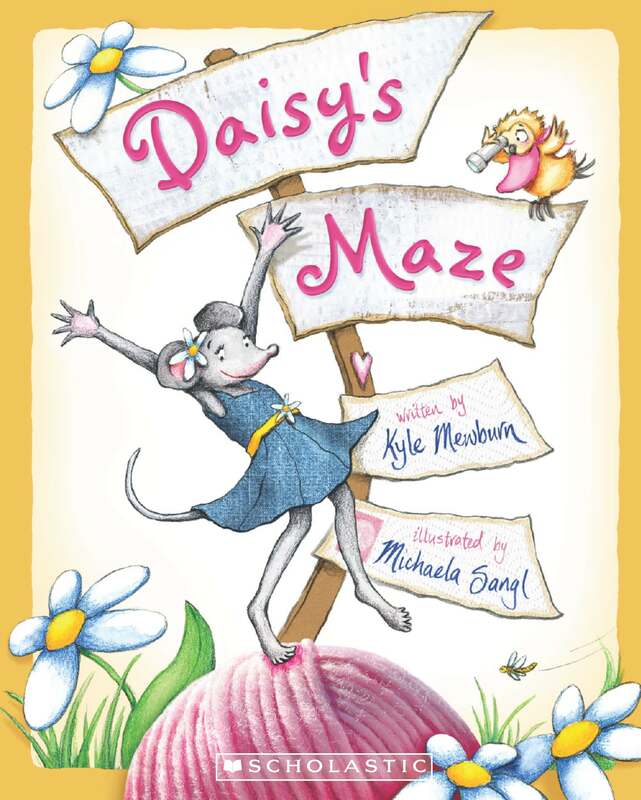 Daisy’s Maze is an enjoyable story, it is sugar and spice and everything nice. It is about valuing friendship and going the extra distance. It really comes across to me as a book little girls would adore. A Bug in a Book review.